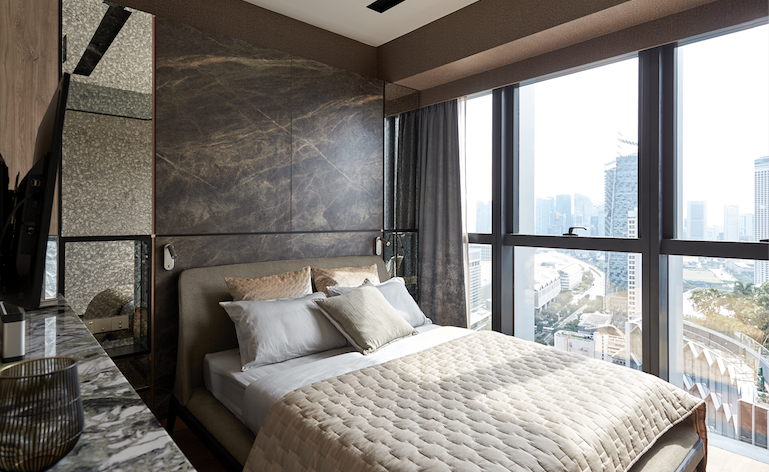 Having worked on business owner Charles Cheo's previous home about 10 years ago, Raymond Seow, design director of Free Space Intent, was deemed the most suitable candidate to design the interior of Charles' new apartment at Duo Residences. The previous property was Charles' family home and his parents still reside there. It has an Old Shanghai theme and is furnished with many antique Peranakan furniture pieces from Charles' collection. 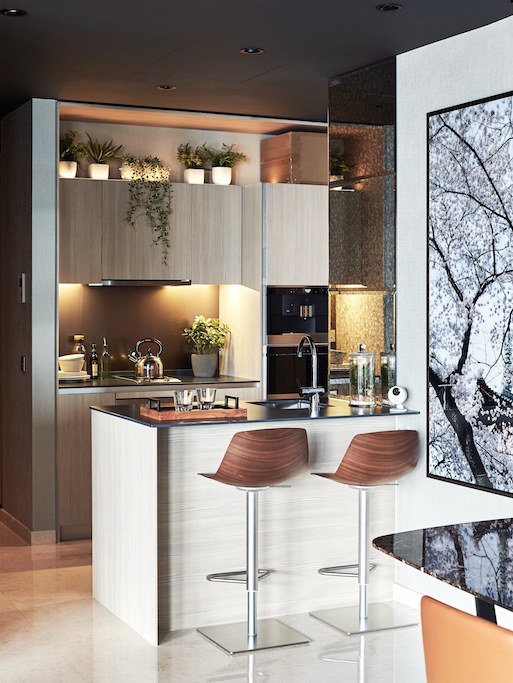 "For the Duo apartment, which I share with my wife, Lili, and our twin boys, I wanted something different and which reflects its city location," says Charles. Raymond thus went for a luxe concept that complements the high-end residential address. "I opted for a darker colour palette that conveys a more luxurious and opulent feel," he says. The design process was progressive and Charles was very involved throughout. "We interacted closely and I would tweak the design along the way based on Charles' input and preferences," Raymond reveals. Apart from design and space planning, Charles was also very involved in furniture selection. As a fan of Italian furniture, he hand-picked many pieces by Italian designers. One of the very first pieces that he decided on was a Giorgetti Galet coffee table, which was inspired by the imperfect regularity of a pebble. Charles chose it for its curved form that echoes the curvilinear building envelope. This organic language extends to various design features and even the choice of materials within the apartment. 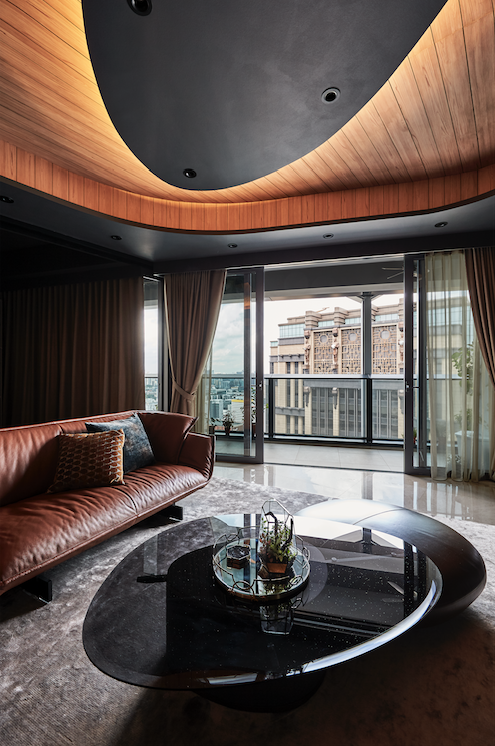 The living room ceiling has elliptical drop panels that mirror the pebble-like silhouette of the coffee table below. 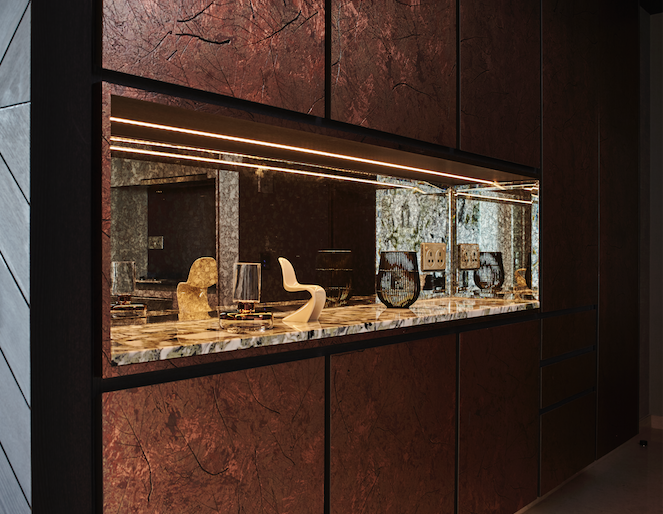 Marble from the feature wall takes pride of place as a recessed display ledge along the entrance foyer too, framed by a special metal laminate clad over built-in cabinets. Many of the art pieces within the home have a recurring nature theme. The master bedroom has an understated design, with a few strategic elements that give visual focus. The headboard is a collage of stone-like laminate juxtaposed with antique mirror panels to create a rustic feel. A remnant piece of the dining room marble was put to good use, forming a ledge above a built-in cabinet below the wallmounted television set. Entering the boys' bedroom feels like you are being transported to another galaxy. 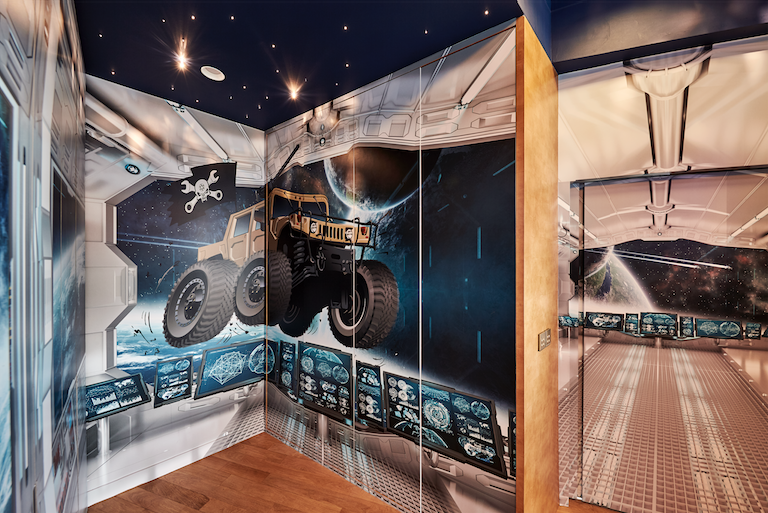 Raymond transformed the bedroom into the interior of a space shuttle. "The perspective of a flight deck conveys depth, which gives a sense of space to a room that is not large," he says. 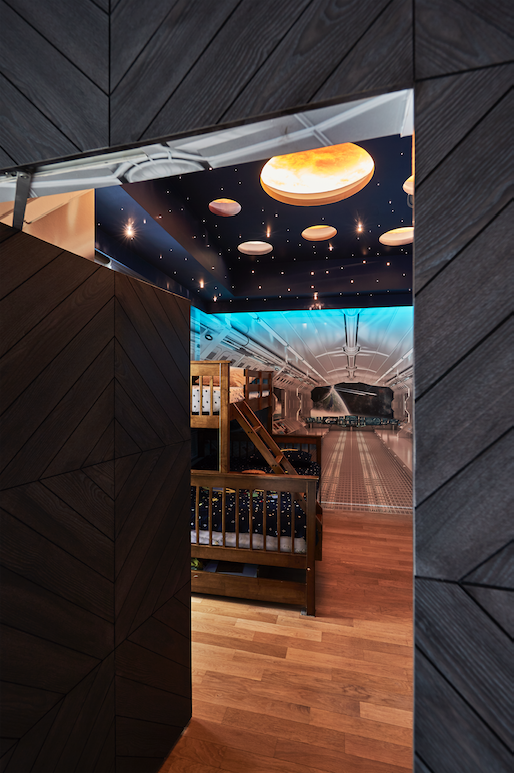 The solar system ceiling design was the inspiration behind the space-themed bedroom for the twins.